Silversea’s 167-day expedition world cruise is now on general sale. The cruise on Silver Cloud sails from Ushuaia on 30 January 2021, calling at 107 destinations in 30 countries, including six new ports of call for the cruise line: Naxos, Folegandros, Nafpaktos, Ksamil, Bejaïa, and Fort William. It will end in Tromsø on 16 July 2021. 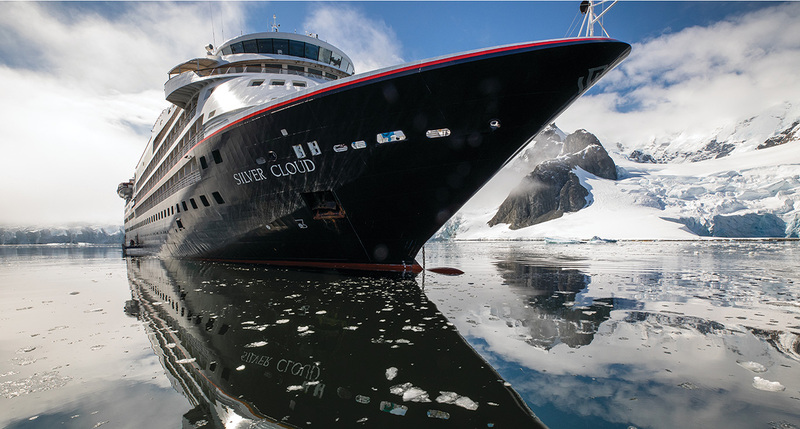 Silversea’s senior vice president expeditions and destination experiences, Conrad Combrink, said: “The expedition world cruise 2021 has been specially crafted to unlock the world’s most amazing deep travel experiences for our guests. “A world first, the Uncharted World Tour 2021 is truly unique in the variety of immersive experiences on offer. More than 20 guest speakers will join the cruise, including explorer and scientist Felicity Aston MBE, explorer and gold medalist of the Royal Geographical and Scottish Geographical Societies Tim Severin, and co-founder of the Plastic Oceans Foundation Jo Ruxton. Fares for a Vista Suite start from £77,000, while guests can enjoy Silver Cloud’s two-bedroom Owner’s Suite from £392,000. Guests will receive complimentary expedition gear, including a commemorative world cruise polar exploration parka, a waterproof backpack, and various other items of clothing and accessories. Gary is an experienced journalist who has a written for a range of publications spanning a diverse set of subjects, from sports to transport to music. Prior to joining Real Response Media, he was features editor for a respected engineering magazine, focusing on environmental and issues.